We’re committed to helping you prepare for what’s ahead in your research degree and future career. Whatever your motivation for undertaking a PhD, it’ll be a journey which will stimulate your passion for your subject and push the boundaries of your own and current knowledge. The work will be challenging, but we’re on hand from the outset to support you in succeeding. From Day One, you’ll benefit from a strong support network to guide you through your research degree. Within one month of starting your degree, you’ll be required to complete a training plan to help identify your training and development needs with your supervisor. This is a great opportunity to create a personalised plan, aligned to your research. You’ll work closely with a lead supervisor and one or more co-supervisors, who are experts in their field, providing guidance and support to your research project. ensuring you receive written feedback on the assessment of progress. Supervisors will also guide you in publishing your research. As a postgraduate researcher, you’ll maintain a Graduate Record of Achievement and Development (GRAD) – an essential tool in managing your research degree. This University-wide web-based application will allow you to manage your training plan, upload files and reports, track your own milestones, request and record supervisory meetings, record training and view any feedback you may have received. This is an easy way for you to keep on top of your work while reflecting on what you’ve already achieved. Each year, within one month of registration, you will need to meet with your supervisor to discuss training and development needs for the coming year. You will develop a range of research skills relevant to your project eg qualitative research methods, experimental design and maintenance, field sampling, chemical analysis, micropalaeontology, statistical analysis, data interpretation and presentation.You’ll attend a number of training courses and workshops throughout your degree to help you build a strong foundation of skills, providing you with the basics to complete each year of your studies. In your first year, topics include Project Managing your Degree, Word for Thesis & Long Documents and Preparing for your Transfer. All the training will be delivered either through formal training at the University, by informal instruction by your project supervisors or other qualified personnel, or through external courses where appropriate. For human geographers/social scientists, training is also provided through the White Rose ESRC Doctoral Training Centre. NERC funded students receive additional training through the Leeds-York NERC DTP. The Doctoral College brings together all the support services and opportunities to enhance your research, throughout your time here. It runs regular drop-in and training sessions for our postgraduate researchers, and organises seminars and other events including the annual Doctoral College Showcase. 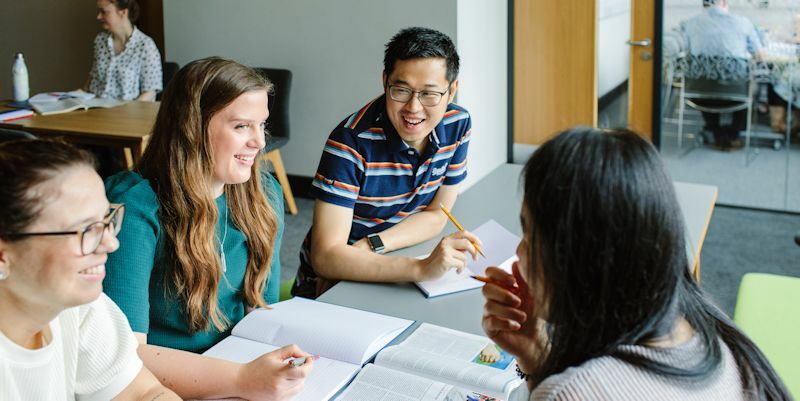 When you join the School of Geography, you’ll join a friendly, supportive and diverse community of postgraduate researchers who come from all around the world. You’ll be directly associated with one of our world-leading research groups, working alongside like-minded researchers and academics. This fairly small-scale community with whom you’ll interact on a day-to-day basis will quickly become your ‘home base’. Furthermore, you'll benefit from an active research environment through a wide range of seminars, lectures and research groups. You will be given opportunities to present results and receive constructive feedback from colleagues in your research institute. The School has a number of more informal groups which meet to discuss issues relating to their research. Examples include Peat Club, Ice Club and Selva Society (for those doing research in tropical ecology). Additionally, both the School and the University hold annual research postgraduate conferences where students gain experience of presenting their research and receiving feedback. Students are also encouraged to submit papers for publication during their PhD and to attend national and international conferences. You can discover information resources through our Researcher@Library scheme, which offers a wide range of workshops throughout the year. Access to a wide range of journals is available online. You’ll also be able to access appropriate laboratory facilities for your research.